Stewart Horton was born on July 12, 1960, in Memphis, Tennessee. He enlisted in the Tennessee Air National Guard as an Aircraft Mechanic in October 1978, and went on active duty in the U.S. Air Force in November 1979. 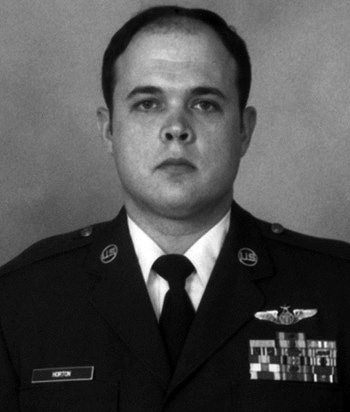 After completing In-Flight Refueling Operator training in November 1980, Horton served as KC-135 Stratotanker Boom Operator and Instructor Boom Operator with the 97th Air Refueling Squadron at Blytheville AFB, Arkansas, until November 1984. His next assignment was as a KC-10 Extender Boom Operator with the 32nd Air Refueling Squadron at Barksdale AFB, Louisiana, from November 1984 to 1993. During this time, Sgt Horton participated in Operation Eldorado Canyon in 1986, Operation Earnest Will in 1987 and 1988, Operation Just Cause in 1989 and 1990, Operation Desert Shield in 1990 and 1991, Operation Desert Storm in 1991, and Operation Restore Hope in Somalia in 1992 and 1993. He then served as an Air Force Recruiter with the 345th Recruiting Squadron from 1993 to 1996, followed by service with the 32nd Air Refueling Squadron at McGuire AFB, New Jersey, until his retirement from the Air Force in August 1999. Staff Sergeant Stewart W. Horton distinguished himself by meritorious achievement while participating in sustained aerial flight as a KC-10 Instructor Inflight Refueling Operator in the Kuwait Theater of Operations, during Operation DESERT STORM from 17 January 1991 to 19 February 1991. During this period, the superb airmanship and courage exhibited by Sergeant Horton in the successful accomplishment of vital combat support missions, under the most hazardous of conditions, demonstrated his outstanding skill and exemplary devotion to duty. 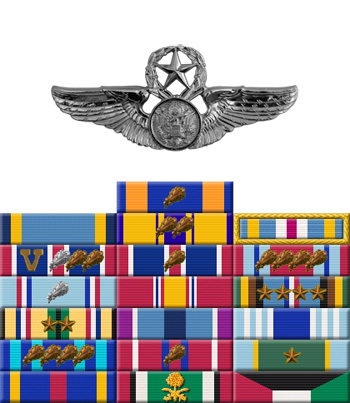 The professional ability and outstanding aerial accomplishments of Sergeant Horton reflect great credit upon himself and the United States Air Force.